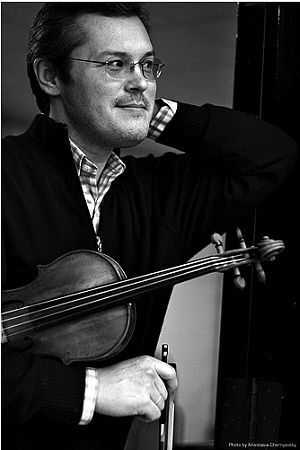 In an effort to promote the coverage of live music, each week Violinist.com brings you links to reviews of notable violin performances from around the world. We're in the lull between the summer and "regular" seasons this week, so we'd like to remind artists and their representatives to keep sending us links to reviews of their performances during the year. And to remind all Violinist.com readers that you can review the concerts you attend by keeping a blog on the site, too! The New York Times: "As with most things she undertakes, Midori did the club date on her own terms. She simply played one of the Bach partitas (BWV 1006, in E), but played it for all it was worth, with fire and intensity. There were no added frills, no talk." The Daily Telegraph: "Repin, like the finest of athletes, manages to combine speed, poetry and finesse with time to spare. This was a thoroughbred performance of a work that we hear too rarely performed live in Australia." New York Amsterdam News: "Blake wasn’t a media magnet, but among his many fans and young musicians he inspired throughout the United States, Europe, Japan and South America, he is considered a master violinist and genius of the music. Those fortunate enough to have witnessed Blake in concert understand the concept of his genius and significant contribution to the world of jazz and beyond."